For years electric snow blowers have been seen as the ugly stepchild of the snow removal industry. Walk into a hardware store or dealer and you’ll see the sales person roll their eyes. Sometimes this is warranted. Particularly if you’re asking for help after a blizzard drops 20 inches in your area. But for a segment of the country that gets the occasional snow or needs help clearing a deck, they can be a wonderful alternative. Electric snowblowers have made great advances over the years. Not just in terms of their efficiency, but in price. They’re lightweight and can be ordered online and shipped to your door. Below we answer some of the most commonly asked questions related to these misunderstood machines. Are electric snow blowers worth it? This depends on where you live and what your budget is. An electric snow blower works best in areas that rarely get over 6 inches of snow. They should be within 100 feet of an electrical outlet. If that’s your situation, I think it’s worth it. Why spend $600 for a gas-powered machine if you don’t need that kind of power? Most electric options are under $300. In fact, a few popular choices on Amazon come in right around $100. Price – This is the #1 reason people choose electric. Single-stage gas-powered snow blowers typically start at $400. You can find a budget electric ones for $100. If you’re on a tight budget and don’t have a need for a powerful blower, electric is the best choice. Maintenance – With an electric motor, there is no oil changes, spark plug replacement, or filling up with gas. They can be put away with no maintenance at the end of the snow season. Size – Not only do these machines have a smaller footprint, they are also much lighter. Typically ranging between 30-50 pounds, they can be stored on shelves or in rafters during Summer. Sound – Electric motors are considerably quieter. A nice feature if you plan to use it during early morning or late night hours. Power – In the United States, these are limited to 15 amps of power. This is nowhere near what some gas-powered engines can reach in terms of horsepower. This means you’ll remove less snow and at slow speeds. And the distance you can throw snow will be shorter. Build Quality – Electric snow blowers are seen as the budget choice for people who won’t be using them heavily. This results in them being made with a lot more plastic. Features – Less power means less features. You won’t find any that have can be self-propelled. They typically lack headlights, heated handlebars, and power steering. Do electric snow blowers need to be plugged in? Yes. 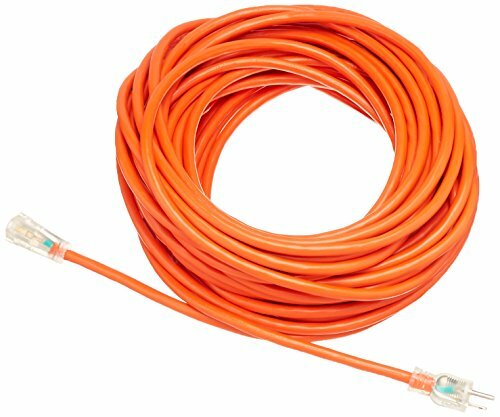 They also require an outdoor extension cord that is rated at or above the amperage of the snow blower. Meaning if you are purchasing a 15 amp snow blower, you will need an extension cord rated to handle 15 amps. Buying an underpowered extension cord is one of the most common mistakes made by consumers and a primary reason for complaints about engine power. There are a number of battery-powered snow blowers on the market today. These are typically more expensive. What is the best electric snow blower? Funny you should ask. We have a page dedicated to the best 5 electric snow blowers on the market. What is the most powerful electric snow blower? Standard wall outlets in the United States can only draw 15A. That means that the maximum power they can use is 15 amps. 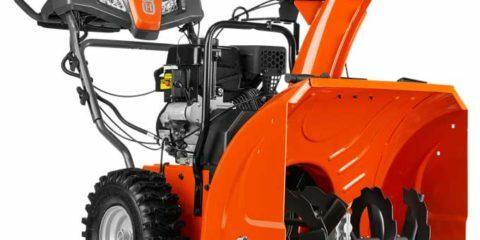 There are a number of models such as the Toro Power Curve 1800 and the Snow Joe SJ625E that have a 15A (1800W) motor inside. Are electric snow blowers safe? Yes. Like with any high-powered electrical device, there are precautions you want to take. Make sure you are using a grounded GFCI outlet. Make sure you are using a properly rated electrical cord that is made for outdoor use. And when in operation, be aware of the electrical cord. Tripping over a cord is a sure fire way to get hurt. Which extension cord should I use? You will want a heavy-duty cord for outdoor use. Between 50 and 100 feet depending on your driveway. It needs to be rated for or above the amps of your snow blower. See our guide to finding the right outdoor extension cord to avoid making a mistake. Are electric snow blowers self-propelled? No. There just isn’t enough power drawn from a standard wall outlet to allow for snow removal and a self-propelled feature. Some do offer assistance from the auger to guide the machine forward.